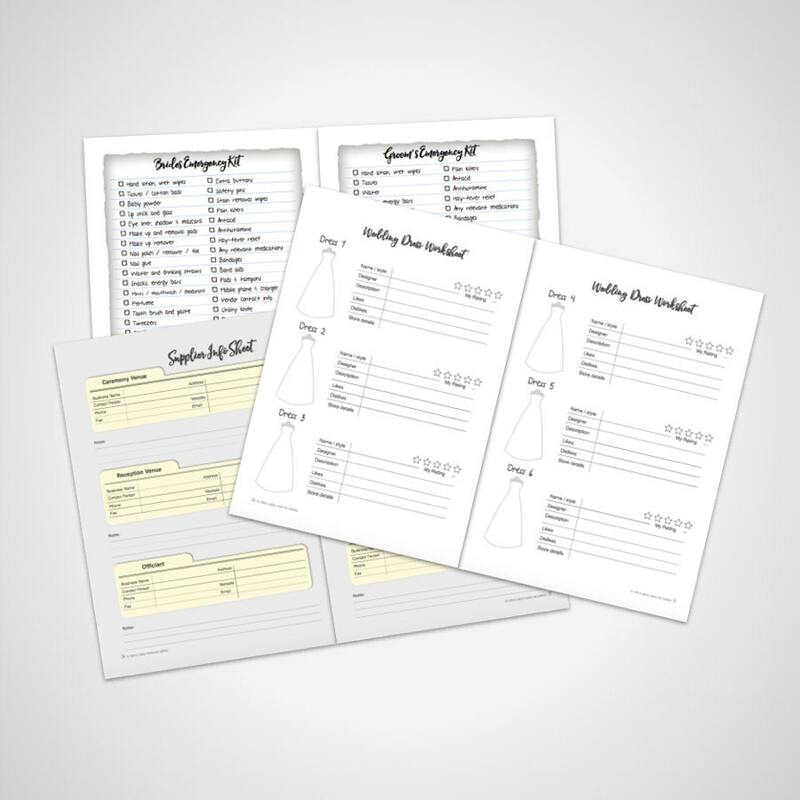 Create your own wedding planner binder with this easy to use printable wedding planner. 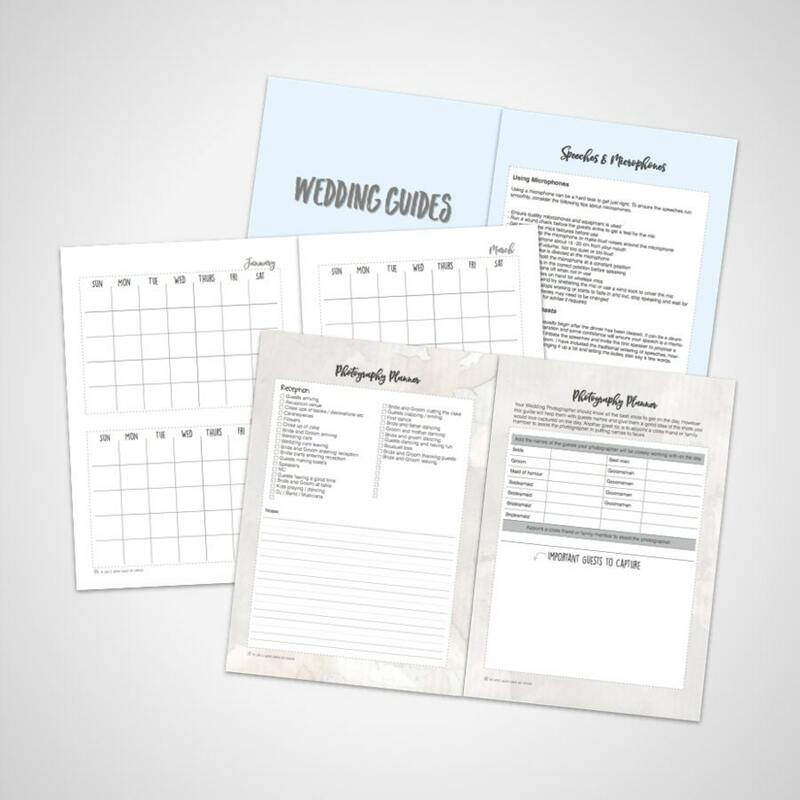 A digital printable wedding planner book containing everything you need to plan your wedding including checklists, guides, planners, worksheets and more. 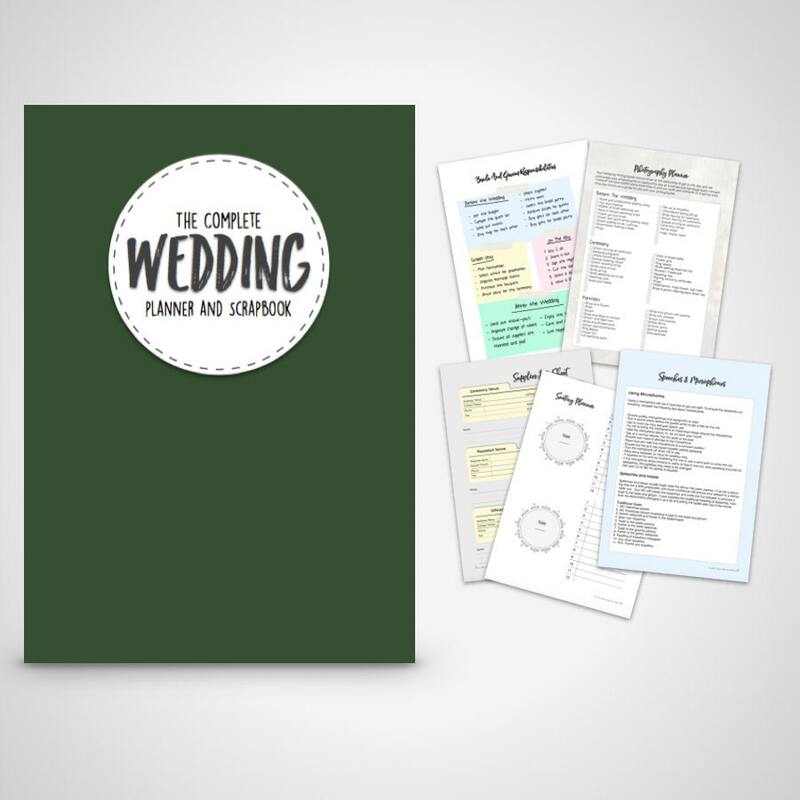 The Complete Wedding Planner & Scrapbook has been completely re designed from the ground up to provide an even better planning experience. 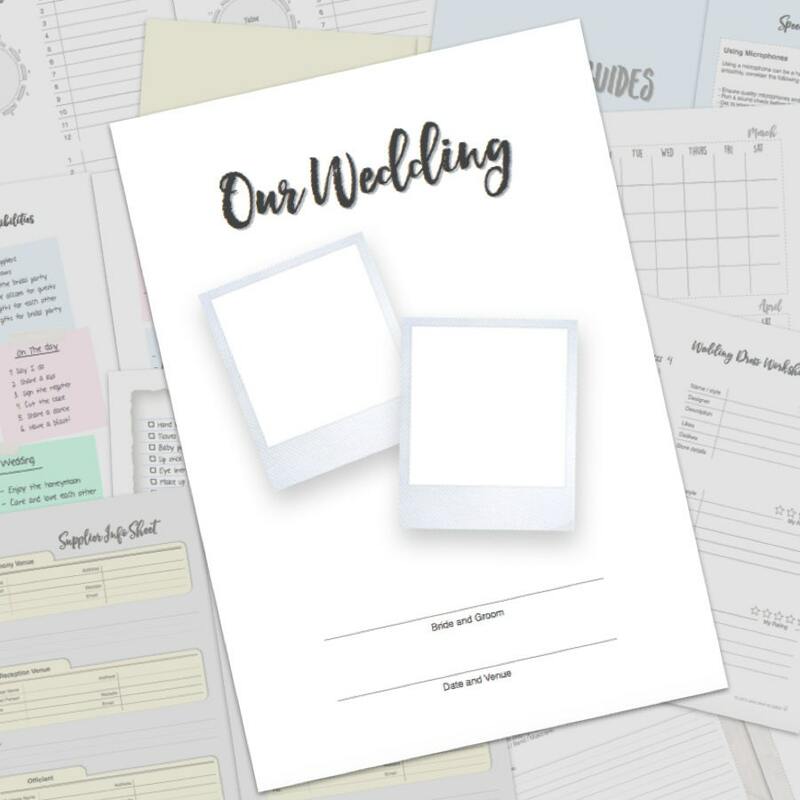 We used real feedback from brides and wedding professionals to create a more user friendly planner with more content than ever before. Amongst the planning pages you’ll discover set areas for your own inspiration, photos, ideas and notes. Add magazine clippings, photographs, brochures, business cards or whatever you like you’ll love adding your own unique touches while finding the best inspiration for your wedding day. 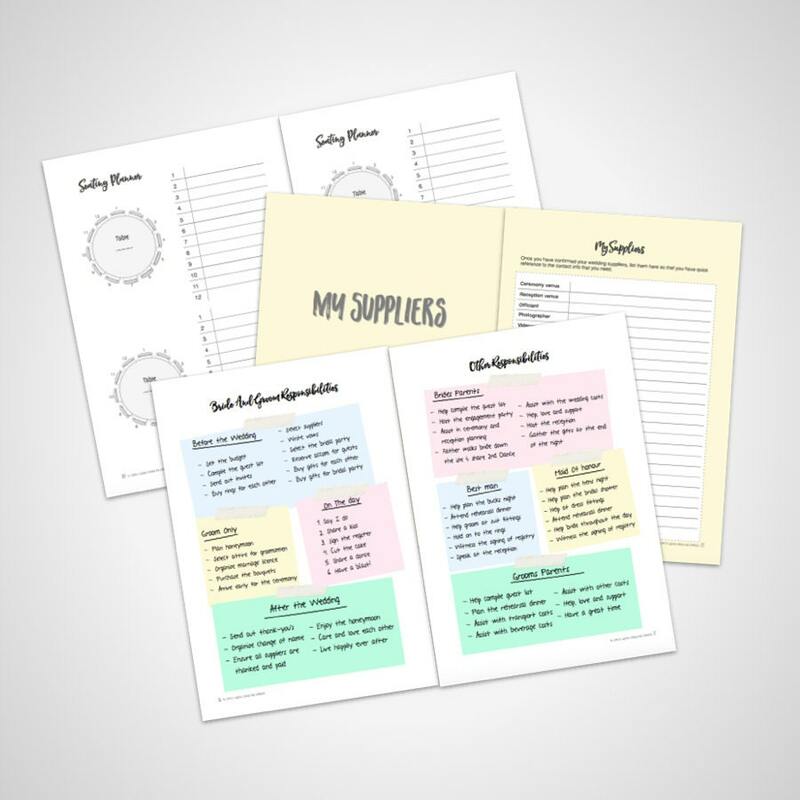 Simply print your planner, add it to your favourite folder and take it everywhere you go. Add appointments, check details, jot down notes. Simple, easy, fun and practical. You are purchasing a digital downloadable product. that can be instantly downloaded after payment. The files are in PDF format so you can easily print them out on your own printer. There are 3 files included. The colours on screen may also appear slightly different once printed. Please note the planner contains a total of 129 pages, while there are many different pages in the planner some pages included are similar including calendar pages and supplier info pages these pages are intentionally similar to provide sufficient space for all your suppliers and all your planning requirements. The planner is intended to be printed as one whole book. We Appriciate your feedback and are dedicated to providing quality products and having happy customers, to help us out please ensure you read the product listing completly and choose carefully. For more information on this product or to discuss your order please dont hesitate to contact us. Pictures are for illustration purpose only, props accessories and folders not included. Physical Items- We accept returns for faulty items only. Return the item to us for a refund of the purchase price less any postage costs. Please choose carefully. Digital Items- If your not 100% happy with your digital item let us know for a 100% refund. This is perfect and has so many options! Makes life much easier when it comes to planning my wedding. Thank you!